King Belshazzar made a great festival for a thousand of his lords, and he was drinking wine in the presence of the thousand. Under the influence of the wine, Belshazzar commanded that they bring in the vessels of gold and silver that his father Nebuchadnezzar had taken out of the temple in Jerusalem, so that the king and his lords, his wives, and his concubines might drink from them. So they brought in the vessels of gold and silver that had been taken out of the temple, the house of God in Jerusalem, and the king and his lords, his wives, and his concubines drank from them. They drank the wine and praised the gods of gold and silver, bronze, iron, wood, and stone. Immediately the fingers of a human hand appeared and began writing on the plaster of the wall of the royal palace, next to the lampstand. The king was watching the hand as it wrote. Then the king's face turned pale, and his thoughts terrified him. His limbs gave way, and his knees knocked together. The king cried aloud to bring in the enchanters, the Chaldeans, and the diviners; and the king said to the wise men of Babylon, "Whoever can read this writing and tell me its interpretation shall be clothed in purple, have a chain of gold around his neck, and rank third in the kingdom." Then all the king's wise men came in, but they could not read the writing or tell the king the interpretation. Then King Belshazzar became greatly terrified and his face turned pale, and his lords were perplexed. The queen, when she heard the discussion of the king and his lords, came into the banqueting hall. The queen said, "O king, live forever! Do not let your thoughts terrify you or your face grow pale. There is a man in your kingdom who is endowed with a spirit of the holy gods. In the days of your father he was found to have enlightenment, understanding, and wisdom like the wisdom of the gods. Your father, King Nebuchadnezzar, made him chief of the magicians, enchanters, Chaldeans, and diviners, because an excellent spirit, knowledge, and understanding to interpret dreams, explain riddles, and solve problems were found in this Daniel, whom the king named Belteshazzar. Now let Daniel be called, and he will give the interpretation." Morning Devotions with Cap'n Kenny - "Upside Down Living"
But when they did not find them, they dragged Jason and some brethren to the rulers of the city, crying out, "These who have turned the world upside down have come here too." It was said of the early church that they turned the world upside down. And that, by the way, was offered as a criticism, not a compliment. When Paul and Silas were in Thessalonica preaching the gospel, it was said of them critically, “These who have turned the world upside down have come here too” (Acts 17:6). This is the church that changed the world through prayer and through preaching. But it seems today the opposite is happening. We have double standards, moral compromise, and little to no power. We need to get back to what the early church experienced as given on the day of Pentecost. Some would say we need another Pentecost. However, we don’t need another Pentecost any more than we need another Calvary. Let’s just appropriate what was made available at the first Pentecost. The power that was given to the first century believers is also available to twenty-first century believers as we bring the gospel to our generation. What concerns me is that we are so worried about fitting in, so worried about relating, and so worried about being cool that we have forgotten what it is to make a stand for what is true. And instead of the church turning the world upside down, my fear is that the world is turning the church upside down. Believers today need to be involved in upside down living. The early church turned their world upside down (or should I say right side up?). And in this crazy, topsy-turvy world where wrong is right and right is wrong, we need to do the same. 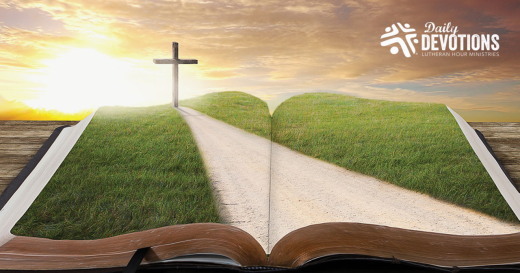 LHM Daily Devotion - May 3, 2017 "At the Crossroads "
Matthew 11:4-6 - And Jesus answered them, "Go and tell John what you hear and see: the blind receive their sight and the lame walk, lepers are cleansed and the deaf hear, and the dead are raised up, and the poor have good news preached to them. And blessed is the one who is not offended by Me." Mr. Julannan lives in the Middle East. Mr. Julannan is a family man with a wife and children. He works in construction and makes a reasonable salary. This is all you probably need to know about Mr. Julannan except for the fact that he liked to drink and he didn't like Jesus. How much did Mr. Julannan dislike Jesus? • When people gave him Christian pamphlets, Mr. Julannan took them and set the pamphlets on fire. • When he saw Christians gathered together in outside worship, he would often spit at them. Things didn't get better when Mr. Julannan had a few beers. Alcohol made him abusive and not just to the Savior, but to his family and neighbors as well. Of course, that only lasted until he passed out. That is the way things were and that is the way things would have stayed -- except for God's intervention. You see, the Lord took Mr. Julannan to a crossroads moment: to a place in time when he had to face facts. Some people would call it a "come to Jesus" moment. That moment began when Mr. Julannan was traveling home from work and went by an open-air Christian rally. He heard the preacher's amplified voice call out: Jesus is help for your sins; Jesus is always before you, but you are causing Him pain with your sins. It is time to confess those sins to your Savior; it is time to be brought to faith; it is time to be forgiven and saved." This time those words didn't infuriate Mr. Julannan. No, this time they just got him to thinking. The next day, as he traveled to work, Mr. Julannan was still thinking. That's probably why he didn't notice the train barreling down on him until it was too late. People screamed as they saw the train hit him, knock him down, and go over the top of him. When the train was gone, the people at the crossing went to look for a corpse. Rather than a corpse, they found a living Mr. Julannan. Excitedly he told how the train knocked him down between the tracks, where he called on Jesus for help. Mr. Julannan told everybody, "I know my Lord and Savior Jesus Christ saved me from what should have been a horrible tragedy!" 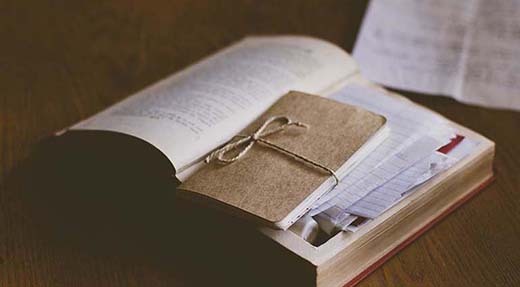 It was a crossroad moment that changed Mr. Julannan who now, with his wife, hands out Bibles. I like that story and share it with you for a reason. Many of you are worried about someone who is near and dear to you. This is someone who has little use for the Savior or anyone who talks about Him. If that is the case, I encourage you to remember, the Lord often sends crossroad moments to both believers and unbelievers. It is when people are helpless that God's loving power becomes most obvious and most effective. It is then your words, your concerns, your prayers will become amplified and by God's grace a lost soul may be saved. Cuando Alejandro el Grande murió, su imperio fue dividido. Egipto fue dado a Ptolomeo, un general, gobernante, astrónomo, matemático y, como si todo eso fuera poco, constructor de faros. Sóstrato, el arquitecto de Ptolomeo, hizo un trabajo tan bueno al diseñar el faro de Alejandría, que con el tiempo se convirtió en una de las siete maravillas del mundo antiguo. La madre de Sóstrato supo educarlo bien. Él sabía que el faro que había diseñado era algo sumamente importante por lo que, con la esperanza de pasar a la historia, quiso que su nombre fuera escrito en la base del mismo. Pero su jefe, Ptolomeo, no pensaba igual. Él quería que fuera su nombre el que estuviera escrito para así recibir él toda la gloria. Finalmente, Sóstrato encontró una solución. En letras hermosas que saltaban a la vista, Sóstrato ordenó escribir el nombre de Ptolomeo en yeso. Pero no le dijo a Ptolomeo que, en el granito que estaba debajo del yeso, había hecho tallar su nombre. Sóstrato sabía que con el tiempo, el golpe continuo del mar iría erosionando el yeso en que estaba tallado el nombre "Ptolomeo" y dejaría al descubierto el granito en el que estaba tallado su propio nombre. Me pregunto: "¿Qué nombre está tallado en su corazón y en su alma?" Hay dos individuos que le reclaman: el Salvador Jesús y el charlatán Satanás. Jesús demostró que nos ama cuando se dio a sí mismo como el sustituto, el sacrificio que habría de lograr nuestro perdón. Gracias a la obra de Cristo, los creyentes somos justificados y hechos justos con el Padre. Pero, a pesar de lo que Jesús ha hecho, Satanás sigue queriendo apoderarse de nosotros. A través del lavamiento del bautismo y de la fe que nos da y mantiene el Espíritu, el nombre que con orgullo debemos llevar tallado en nuestro corazón es el de Jesús. Como San Pablo les escribió a los creyentes en Corinto: "Ustedes ya han sido lavados, ya han sido santificados, ya han sido justificados en el nombre del Señor Jesucristo y por el Espíritu de nuestro Dios." En resumen, cuando alguien nos mira o nos escucha hablar, debería decir: "se nota que esa persona pertenece a Jesús". Phi hành gia Al Worden của tàu Apollo 15 hiểu rất rõ cảm giác cô đơn khi ông ở phía bên kia của mặt trăng. Vào năm 1971, trong suốt ba ngày liền ông bay một mình trong khoang chỉ huy tàu Endeavor trong lúc hai đồng nghiệp làm việc trên bề mặt của mặt trăng cách xa ông hàng nghìn dặm. Bạn đồng hành của ông là những chòm sao lấp lánh trong vũ trụ. Ông nhớ rằng những chòm sao này dày đặc đến nỗi chúng giống như một tấm chăn ánh sáng phủ khắp người ông. Khi mặt trời dần lặn xuống, một nhân vật Cựu Ước là Gia-cốp cảm thấy rất đơn độc. Đây là đêm đầu tiên ông xa gia đình. Khác với phi hành gia Al Worden, Gia-cốp đang trên đường chạy trốn sự truy sát của anh mình vì đã cướp lời chúc phước của cha vốn dành cho con trưởng nam. Tuy nhiên, khi đang ngủ, Gia-cốp mơ thấy một chiếc thang nối liền trời và đất. Trong lúc nhìn những thiên sứ lên xuống trên thang, ông nghe tiếng Chúa phán hứa rằng Ngài sẽ ở cùng ông và ban phước cho cả thế giới này qua dòng dõi ông. Khi thức dậy, Gia-cốp thốt lên: “Thật Đức Giê-hô-va đang ngự tại nơi nầy mà tôi không biết!” (Sáng. 28:16). Gia-cốp đã tự cô lập mình vì hành vi lừa dối của ông. Thế nhưng dầu ông thất bại, dầu màn đêm có tăm tối thì ông vẫn luôn ở trong sự hiện diện của Đấng luôn có những chương trình tốt hơn và toàn vẹn hơn kế hoạch của chúng ta. Thiên đàng gần hơn chúng ta tưởng và “Đức Chúa Trời của Gia-cốp” luôn ở cùng chúng ta. Lạy Cha, con cảm ơn Ngài vì đã dùng câu chuyện của Gia-cốp để cho chúng con biết rằng sự hiện diện vinh hiển của Ngài và lòng nhân từ của Ngài vượt xa hơn những gì con có thể mường tượng được. Đức Chúa Trời ở gần hơn chúng ta tưởng. 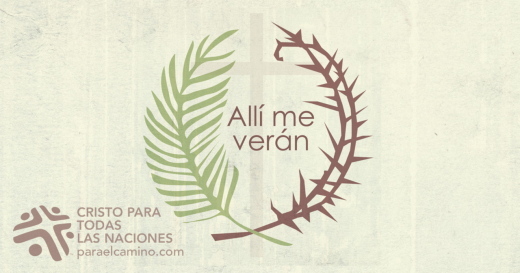 … Ciertamente el Señor está en este lugar, y yo no lo sabía (v. 16). Al Worden, astronauta del Apolo 15, sabía lo que era estar en la luna. Durante tres días, en 1971, voló solo en su módulo de comando, el Endeavor, mientras dos compañeros trabajaban a miles de kilómetros, en la superficie de la luna. 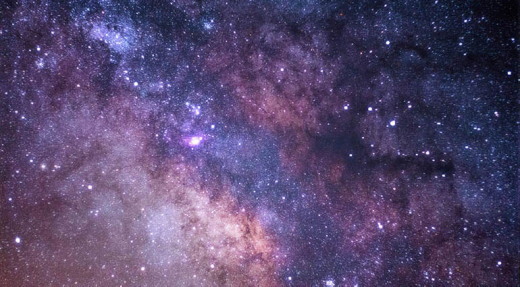 Su única compañía eran las estrellas, que lo envolvían con su luz. Cuando el sol se puso sobre Jacob, el personaje del Antiguo Testamento, la primera noche lejos de su casa, él también estaba profundamente solo, pero por otra razón. Estaba huyendo de su hermano mayor, que quería matarlo por haberle robado la bendición familiar del primogénito. Sin embargo, al dormirse, Jacob soñó con una escalera que unía el cielo y la Tierra. Mientras observaba a los ángeles que subían y bajaban, escuchó la voz de Dios que le prometía estar con él y bendecir a toda la Tierra a través de sus hijos. Cuando Jacob despertó, exclamó: «Ciertamente el Señor está en este lugar, y yo no lo sabía» (Génesis 28:16). Jacob se había aislado debido a su engaño. Sin embargo, por más reales que fueran sus fracasos y la oscuridad de la noche, estaba en la presencia de Aquel cuyos planes siempre son mejores que los nuestros. El cielo está más cerca de lo que pensamos, y el «Dios de Jacob» está con nosotros. Padre, la gloria de tu presencia y tu bondad supera ampliamente nuestra imaginación. Dios está más cerca de lo que pensamos. Apollo 15-Astronaut Al Worden weiß, wie es ist, „hinter dem Mond“ zu sein. Drei Tage lang flog er 1971 allein in seiner Raumkapsel Endeavor durchs All, während seine beiden Kollegen mehrere tausend Kilometer unter ihm auf dem Mond unterwegs waren. Die Sterne waren seine einzigen Begleiter, und er erinnert sich, dass ihr Licht so intensiv war, dass es ihn förmlich umhüllte. Als Jakob aus dem Alten Testament die erste Nacht fern von zu Hause verbrachte und die Sonne unterging, fühlte auch er sich allein, aber aus anderen Gründen. Er war auf der Flucht vor seinem älteren Bruder, der ihn töten wollte, weil Jakob ihm den Familiensegen gestohlen hatte, der normalerweise dem Erstgeborenen zukam. Doch im Schlaf hatte Jakob einen Traum von einer Leiter, die Himmel und Erde verband. Er sah Engel hinauf—und hinuntersteigen und hörte Gottes Stimme, die ihm versprach, mit ihm zu sein und durch seine Nachkommen die ganze Erde zu segnen. Als Jakob aufwachte, sagte er: „Fürwahr, der Herr ist an dieser Stätte, und ich wusste es nicht!“ (1.Mose 28,16). Jakob hatte sich wegen seinem Betrug selbst isoliert. Doch trotz seines Versagens und trotz der Dunkelheit der Nacht war er in der Gegenwart des Einen, dessen Pläne immer besser und viel größer sind als unsere eigenen. Der Himmel ist näher als wir denken und der „Gott Jakobs“ ist mit uns. Vater, hab Dank, dass du uns an der Geschichte von Jakob zeigst, dass deine unsichtbare Gegenwart und Güte viel größer und herrlicher sind, als wir uns vorstellen können. Gott ist näher als wir denken. Sa tromperie avait poussé Jacob à s’isoler. Reste qu’aussi réels étaient ses échecs et aussi sombre était la nuit, il se trouvait en présence de celui dont les projets sont toujours meilleurs et d’une plus grande portée que les nôtres. Le ciel est plus près que nous le croyons, et le « Dieu de Jacob » est avec nous. Dieu est plus près qu’on le croit. Альфред Уорден – астронавт космічного корабля “Аполлон-15” – мав досвід перебування на зворотному боці Місяця. У 1971 році він протягом трьох днів самотньо керував командним модулем “Індевар”, в той час як два інших члени команди працювали в тисячах кілометрів від нього на поверхні Місяця. Єдиними його компаньйонами були зірки над головою – такі великі, що небо наче огортало його зоряною ковдрою. Коли Яків вперше ночував далеко від дому, і сонце вже сідало за обрій, він теж почувався дуже самотнім – але за інших причин, ніж Альфред Уорден. Він тікав від свого брата, який мав намір вбити його за викрадене батьківське благословення. Коли ж Яків заснув, то бачив чудовий сон: сходи, що простягнулись від землі до неба. І бачив він уві сні ангелів, що сходили й виходили цими сходами, та чув голос Бога, Хто обіцяв бути з ним і через його потомство благословити всю землю. Пробудившись, Яків сказав: “Дійсно, Господь пробуває на цьому місці, а того я й не знав!” (Бут. 28:16). Яків опинився в ізоляції через свій обман. Проте він був у присутності Бога (що було такою ж реальністю, як і його проблеми та нічна темрява), Чиї плани набагато кращі й масштабніші за наші. Небеса насправді ближче до нас, ніж ми думаємо. І “Бог Якова” завжди з нами. Отче, дякуємо Тобі, що через історію про Якова Ти нагадуєш нам про Свою незриму славу й ласку, що переважає нашу уяву. Бог завжди набагато ближче, ніж ми думаємо. Астронавт экипажа «Аполлон-15» Эл Уорден узнал, что такое космическое одиночество. В 1971 г. он три дня находился в командном модуле на лунной орбите, в то время как его два спутника работали на поверхности Луны в тысячах километров от него. Компанией астронавта были лишь звезды, такие густые, что он чувствовал себя завернутым в покрывало из света. Когда зашло солнце, молодой беглец Иаков, должно быть, тоже почувствовал себя бесконечно одиноким. Он спасался бегством от старшего брата, который хотел убить его за кражу семейного благословения, обычно получаемого первенцем. Однако, уснув, Иаков увидел лестницу, соединяющую небо и землю. По ней восходили и спускались ангелы, а Сам Бог пообещал, что будет с ним и благословит всю землю через его потомков. Проснувшись, Иаков сказал: «Истинно Господь присутствует на месте этом, а я не знал!» (Быт. 28:16). Иаков был сам виноват в своих бедах. Но, как бы очевидны ни были его грехи и как бы темна ни была окружающая ночь, он находился в присутствии Того, Чьи замыслы всегда лучше наших собственных. Небеса ближе, чем мы думаем, и «Бог Иакова» с нами. Отче, благодарим Тебя за повествование об Иакове, в котором Ты показываешь, что слава Твоего незримого присутствия и благости неизмеримо больше, чем мы можем представить.